The Post reported that Dennard was fired from a job at Arizona State University "for making sexually explicit comments and gestures toward women." The Post obtained a copy of an ASU report that described the university's 2014 internal investigation into Dennard's conduct. According to the newspaper, the report "describes a series of inappropriate incidents often initiated by Dennard with the two women in 2013 and 2014." The investigation found that Dennard had committed "serious misconduct," according to the Post. Dennard did not immediately respond to a request for comment from CNNMoney. WBUR, where Dennard serves as a political commentator on "Here & Now," a show co-produced with NPR, issued a statement on Thursday expressing concerns about the alleged conduct and said they are "suspending usage" of him for the show. Earlier, he told the Post that he believes the allegations made against him at ASU are "false." "This is sadly another politically motivated attempt to besmirch my character, and shame me into silence for my support of President Trump and the GOP," he told the newspaper. 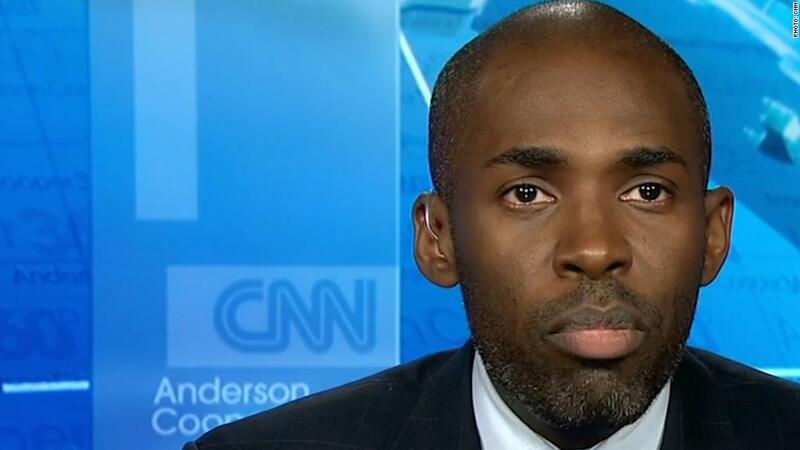 Two days ago, Trump returned the support via Twitter, calling Dennard "wonderful" while denigrating the other CNN commentator Dennard was debating -- former CIA analyst Philip Mudd. The two men appeared together on "Anderson Cooper 360" last Friday, and Trump apparently saw a clip of the segment on Fox News Monday night, which prompted the tweet.